If you're sensing a theme this week at AllBum.Art then you wouldn't be far wrong. Our theme this week is space-age and futuristic remixes. And what better source of such material than David Bowie. 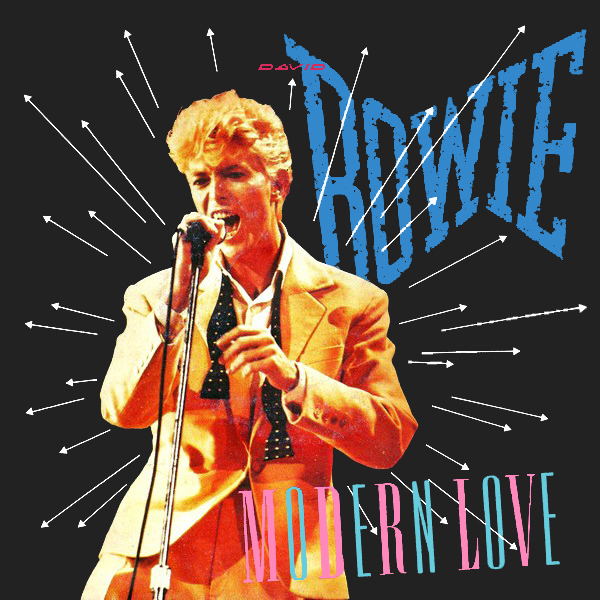 Today's remix is for Modern Love and on the original cover we see the aforementioned Mr Bowie who may have looked modern in the 1980s but who looks positively old-fashioned now. Good job we remixed it and replaced Mr Bowie with a far more modern love. Purple?